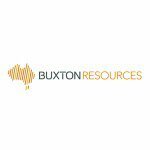 The true extent of Buxton Resources (ASX:BUX) high grade graphite resource is starting to become more apparent... Results from 11 holes have been released and there are 7 more to go... soon we should know a lot more about their high grade Australian graphite resource. The last time we looked BUX had high grade graphite grades of up to 33% at Yalbra concentrated in a central area of the play. Now the latest results from BUX’s drilling programme are in, and 11 new holes have been added with high grade results of up to 25% spinning out to the west of the resource. 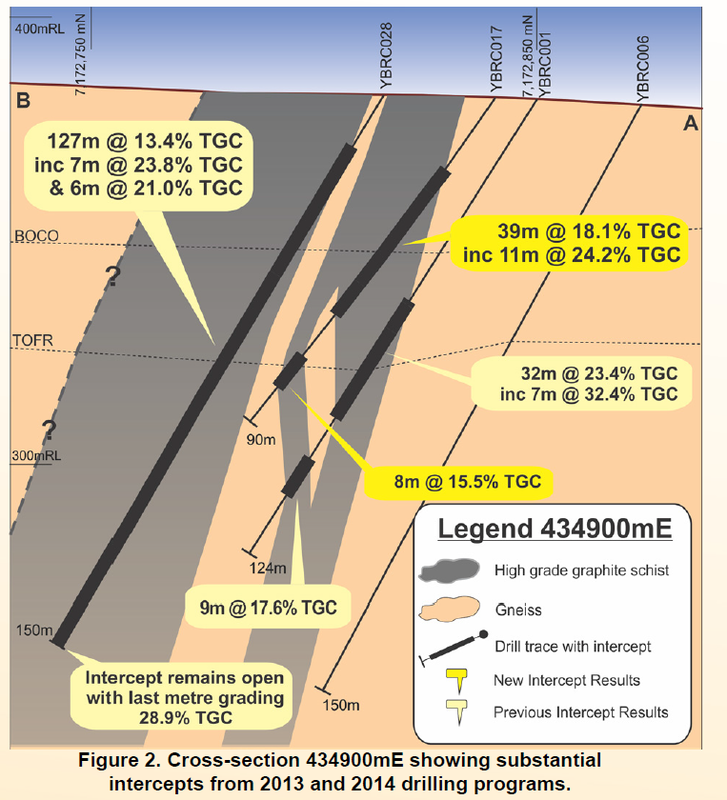 The results include one mammoth hit of 127m @ 13.4% TGC (Total Graphitic Carbon). We thought BUX was on to something before – but now we’re getting an even better idea of the size of the graphite resource it controls. Remember the drilling results from an additional seven holes are still to come. 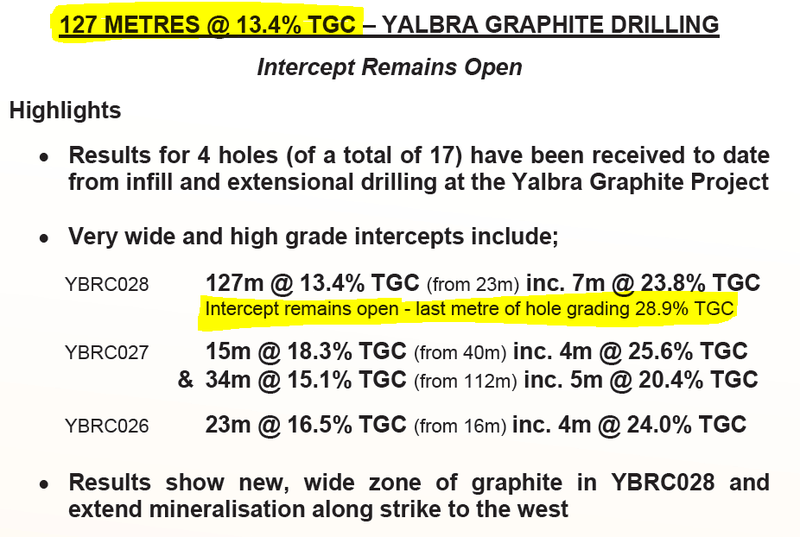 Yalbra is considered the highest grade graphite resource in Australia with an average grade of 20.1% and an inferred size of 2.27M tonnes. These new drilling results could result in a significant re-rating for the resource and, fingers crossed, BUX’s market valuation. It’s coming at a good time for graphite too... The graphite market is really heating up now that Tesla, the massive manufacturer of electric cars that uses graphite in their batteries, is getting closer to picking the US state that will house its ‘gigafactory’. In layman’s terms, that’s a place batteries are made for electric cars on an industrial scale. Those batteries need high grade graphite and who knows, BUX might soon be powering your drive to work – or vacation. Those five new additions are the very latest results from BUX’s 2014 drilling programme and show the inferred graphite resources extend very far to the west AND have comparable high grades compared to the historic drill holes. This is just a taste – there are seven more drill hole results we are waiting on. 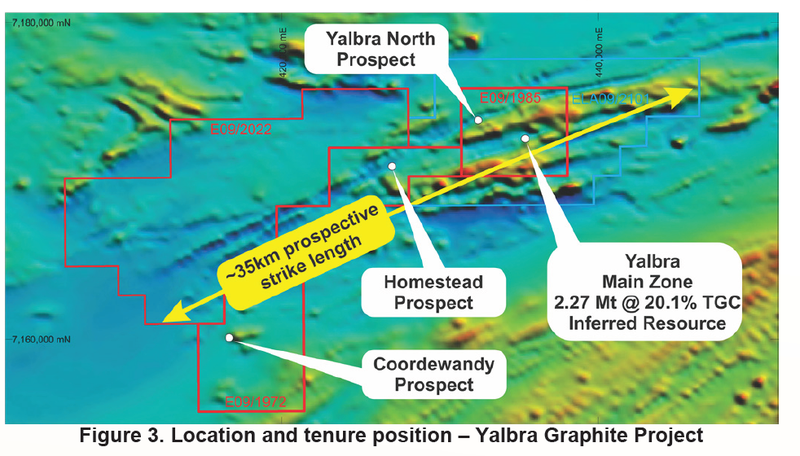 The drill hole results BUX just released cover areas YBRCO19 and YBRCO23 of the Yalbra prospect and show the central graphite resource extends to the west and remains open with high grade mineralisation constant in the strike length. The significance of these new results is that BUX is gunning for a resource upgrade so it can commence with a Scoping Study and move along its efforts to prove up its graphite resource. BUX is quickly developing a good idea of the extent of the graphite at Yalbra and moving toward securing a resource upgrade. The next step for BUX at Yalbra is to complete a round of metallurgical test work on the samples from the new drill holes and release the results of the remaining seven drill holes. Since we released the Next Oil Rush article on ASX:REY, Who is the Mystery Third Man? We Reveal the Next Junior Explorer in WA’s Canning Super-basin... , REY has risen as high as 100%. Following the Next Oil Rush article on ASX:AKK, $20M to $5.6BN: Can He Do It Again? Multiple Catalysts In Weeks , AKK has risen as high as 60% since. Ok, so that’s the latest BUX graphite news covered. 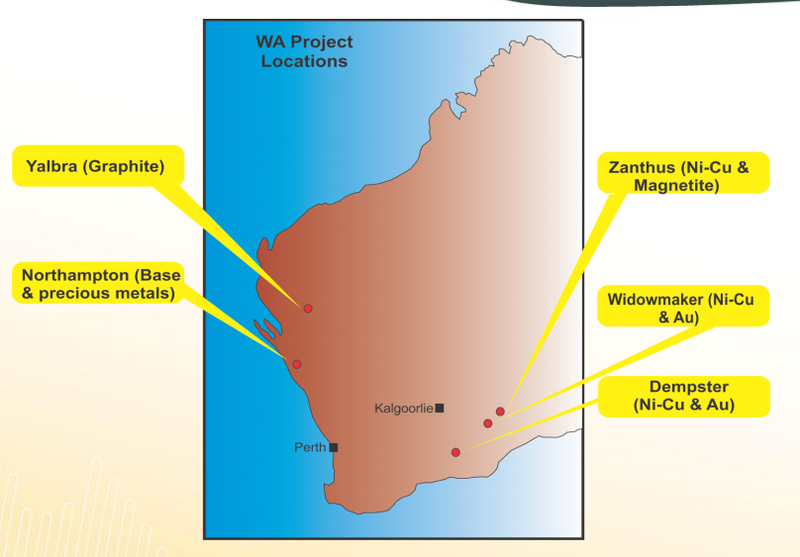 Before we move onto the very latest from this super material’s industry news let’s have a quick run through the particulars of the Yalbra Graphite Project. On the map, Yalbra is in the mid-west region of Western Australia 280km east of the coastal town of Carnarvon. BUX holds a clutch of tenements in the area with 85-100% ownership. There are two main areas in BUX’s sights – Yalbra Main Zone (85% stake) where you’ll find the 2.27Mt inferred resource at 20.1% TGC (Total Graphitic Carbon) and Yalbra North (85%). BUX recently expanded its strategic ground holdings with agreements to acquire the Coordewandy (90%) and Gum Creek Wall (100%) graphite projects which lie along strike from Yalbra Main Zone. BUX has over 566km 2 of tenements with 35km of strike length full of prospective graphite resources. Resource size is important but in the graphite game the grade and type is what really counts. The better the grade and the bigger the flakes the more money you can charge for the product. 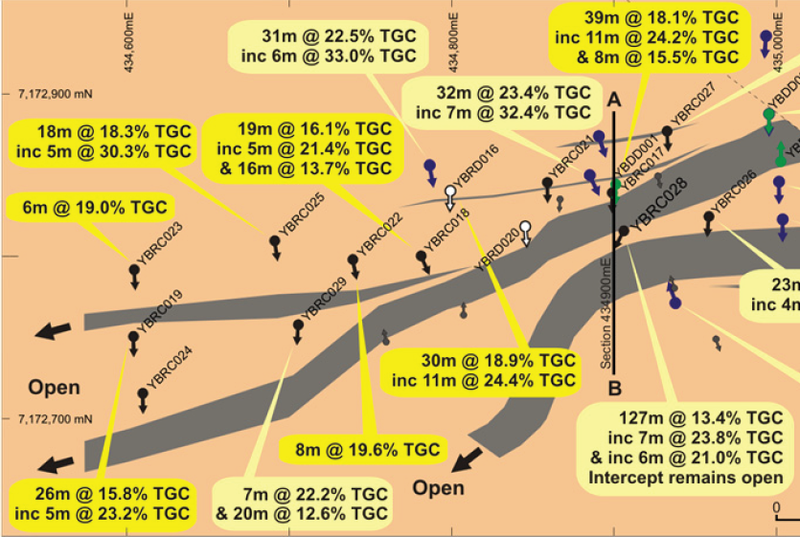 The existing drill samples BUX has gathered show grades of up to 30% TGC with the latest from the western run of the resource showing up to 25%. Once we get the seven outstanding drill hole results we should know the full extent of the resource BUX has in its hands. The most crucial thing is the metallurgy of BUX’s Yalbra project. Not all graphite is equal. There are two types of graphite – graphite flakes and amorphous graphite. Flakes are worth big bucks while amorphous is the cheap stuff. If BUX can confirm it has a large graphite resource with flakes – then the sky is the limit. Graphite is a hot ticket at the moment with demand soaring as electric cars that use huge amounts of graphite in their batteries start to gain traction over their combustion engine rivals. Plus, graphite is a big ingredient in all of the modern smart electronics we use every day. BUX is aggressively pursuing its goal of becoming a leading supplier of graphite to the increasingly hungry global market and if it can set up a graphite mine digging up some of the best material around then we customers may well be beating a path to its door. Tesla is the electric car company that wants to do for battery powered vehicles what Henry Ford did for their petrol powered rivals – make them universal. Electric cars use huge amounts of graphite in their batteries. A Nissan Leaf has up to 40kg of the stuff and only the highest grade graphite will do to power these high performance machines. Demand is growing for electric cars, especially in the USA where Tesla does most of its business. Tesla’s next step in its plan to build an electric car empire is to roll out what it calls a ‘gigafactory.’ That’s a huge factory where batteries for electric cars (and other electronics) are pumped out on a colossal scale. It seems like every state in the USA wants the gigafactory and competition to secure it is fierce . The gigafactory means jobs now and – fingers crossed – far into the future if electric cars become the new mode of transport for everyone. The latest news for the gigafactory is that Tesla wants the state it selects to host it to contribute at least $500M toward its building. Forbes calls this a “game of economic poker” that is separating the serious bidders from the wishful thinkers. The gigafactory will produce battery packs for Tesla’s new Model 3 – a low priced model aimed at making electric the new highway normal – so the potential for jobs and infrastructure is huge. 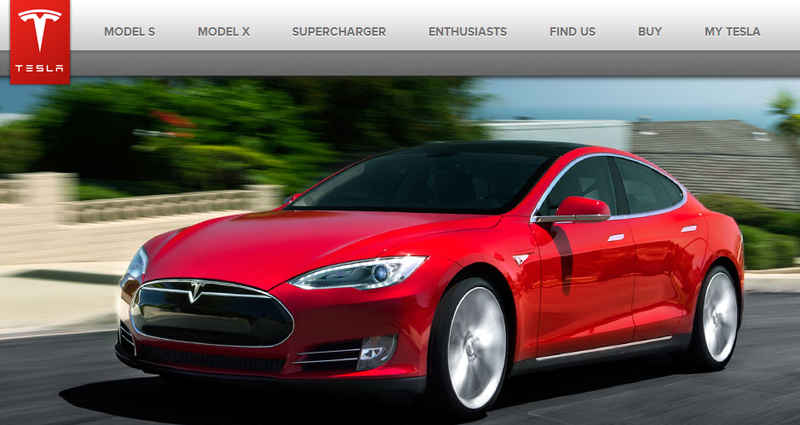 $500M might seem like a lot – but Forbes says Tesla sees it as a fair trade. 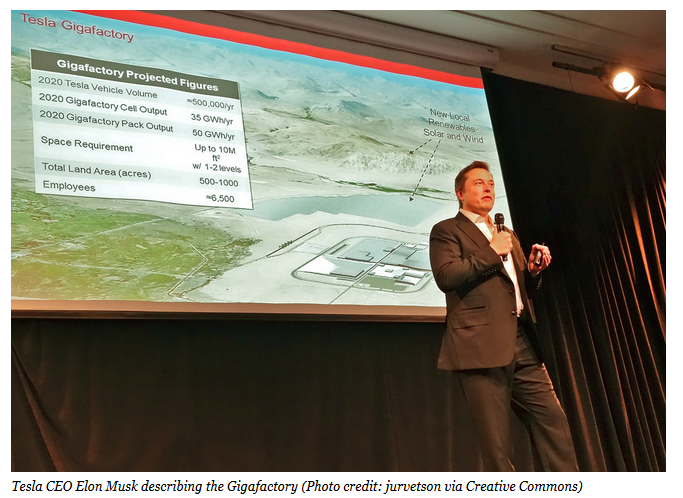 The announcement of the gigafactory’s location could be made very soon and when it’s up and running it will be yet another destination for BUX’s high grade graphite. We now know that high grade graphite exists to the west of the main inferred resource at BUX’s Yalbra Graphite Project in Western Australia. We’ll know even more of the extent of the resources when BUX releases the drilling results of the remaining seven holes it has drilled in its 2014 exploration programme there. After that, the next thing to wait for is the results of metallurgical testing – this should give us further information on that crucial question – what size of graphite flakes does BUX have? Indications are its flake – the good stuff – but knowing for sure will be a boon for BUX as it quickens the pace toward its Scoping Study for a graphite mine at Yalbra and a potential resource upgrade. At The Next Mining Boom we see BUX wrapping up all the loose ends it has to tie before it can accelerate its Yalbra project. It’s all coming together nicely and we expect to see a lot of announcements as it knocks off these catalysts one by one and perhaps clears the way for a run at owning Australia’s premiere graphite resource.